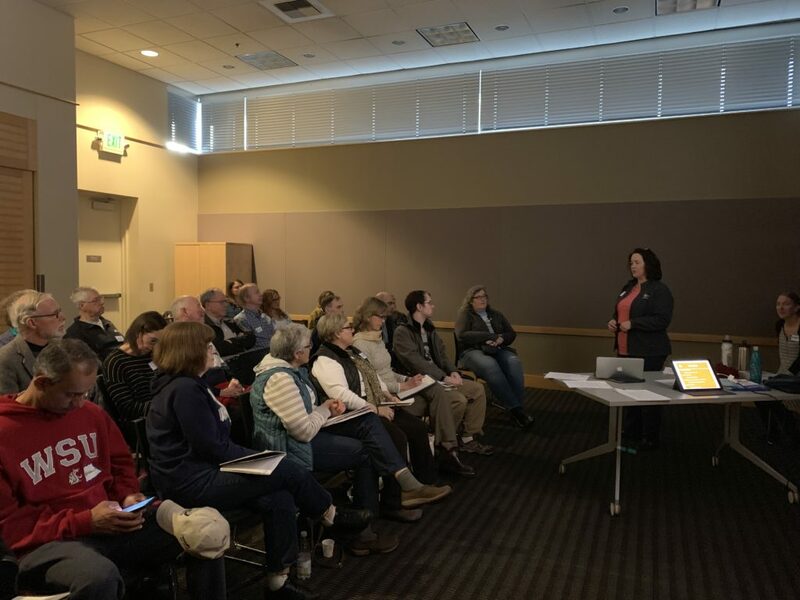 A giant, heartfelt thank you to everyone who gave up a sunny Saturday afternoon to sit in a darkened library to participate in Indivisible Kirkland’s first member meeting of 2019! This 90-minute meeting was jam packed with both people and information! We were so excited to see a full house with both familiar and new faces! We were stoked that State Representative Shelley Kloba of LD1 chose to attend this update. We were gratified by her words of encouragement re: the importance of grassroots advocacy. We were also pleased to be joined by Amy Steele Falcone, Adam White and Uzma Butte. Amy and Adam serve on Kirkland’s Human Services Commission and Uzma serves on Kirkland’s Park Board. Thank you all for your service to our community. Also a big thanks to those who have accepted roles as Observers, Issue Trackers and soon-to-be Community Service Coordinator. Have an idea on how you’d like to contribute…please let us know. We’re interested in creating right-sized opportunities for people. Our next meeting will be held on Sunday, February 10th @ 2:00 pm at Kingsgate Library. Hope to see you there!